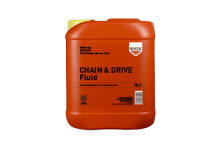 General purpose chain lubricant for maximum penetration and lubrication. High performance chain lubricant spray with exceptional penetration, corrosion protection and lubrication properties. Versatile, wet film high temperature chain lubricant operating up to 230°C. 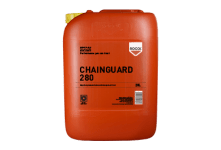 Wet film multi-purpose chain lubricant up to 280°C which is suitable for automatic lubricators. 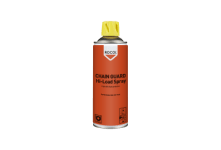 Heavy duty, high load aerosol chain lubricant with molybdenum disulphide. The UK's most specified, premier anti-slip coating. Optimum galvanic protection, heavy duty cold galvanising spray. High performance, semi-permanent spot and survey marking paint system. 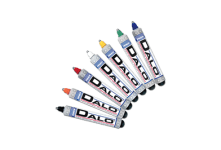 Perhaps the most rugged markers you'll ever use, the Dykem Texpen and Dykem Dalo paint markers get the toughest of jobs done. 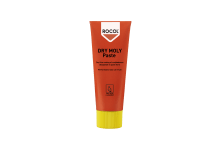 Dry film coating of molybdenum disulphide in paste form.